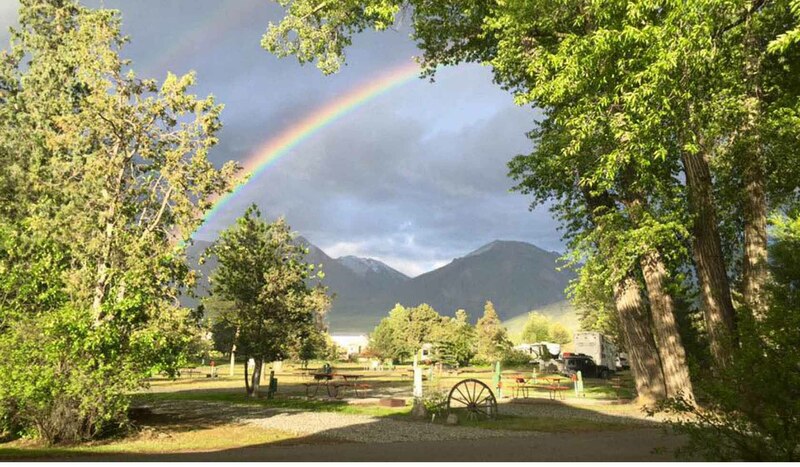 Livingston/Paradise Vally KOA is nestled between the Absaroka/Beartooth mountains and the Yellowstone River in the heart of Paradise Valley. Located just 10 miles south of Livingston and 40 miles north of Yellowstone National Park's north entrance, we are a prime location to be your basecamp for all of your southwest Montana activities. We have full hook-up RV sites, deluxe patio sites, shaded tent sites, camping cabins and deluxe riverfront cabins. Our General Store is stocked with fishing equipment, RV necessities, maps & local area literature, food, and souvenirs. We have laundry and shower facilities, breakfast in our pavilion during the summer months, and we do propane refills. Fish from our river frontage, take a dip in our heated pool, or take a hike in the Absaroka/Beartooth wilderness. There are activities for everyone. We are pet friendly and offer free wi-fi so you can stay connected while you camp.